We glad to inform you that from 29th to 31th of May 2017 will take place XXV International Scientific Conference of Real Estate Scientific Society in Olsztyn. The Conference will be organized in cooperation with Department of Real Estate Management and Regional Development and Department of Real Estate Resources at University of Warmia and Mazury in Olsztyn. The detail information: Announcement 1. 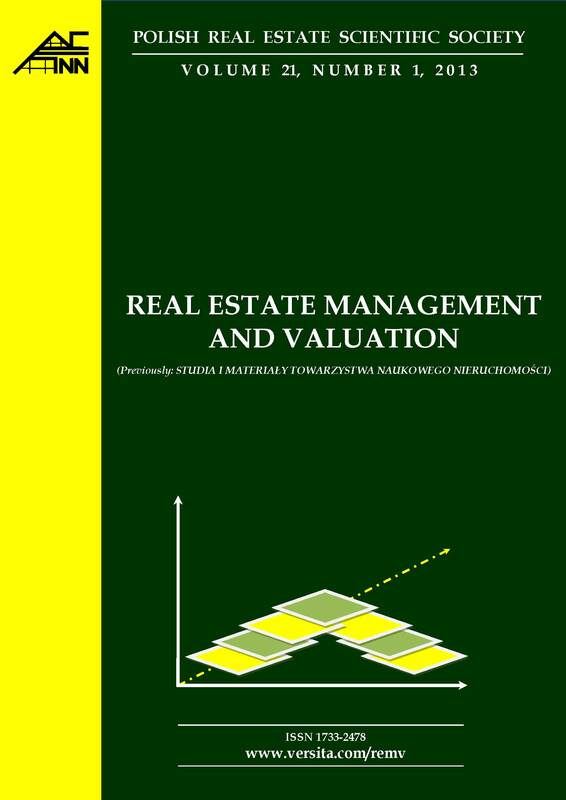 Search for content in REAL ESTATE MANAGEMENT AND VALUATION (REMV). Current issue: 2017, vol. 25, nr. 2.